After spending three months this past summer working on the Denis Villeneuve retrospective for Can’t Stop the Movies, Andrew Hathaway and I decided to take the leap on another project we had been discussing behind the scenes. The result is Changing Reels! A new bi-weekly podcast that revisits underappreciated films, explores their pop culture significance and celebrates diversity in front of and/or behind the camera along the way. Each episode will find us diving into one feature film and two short films. 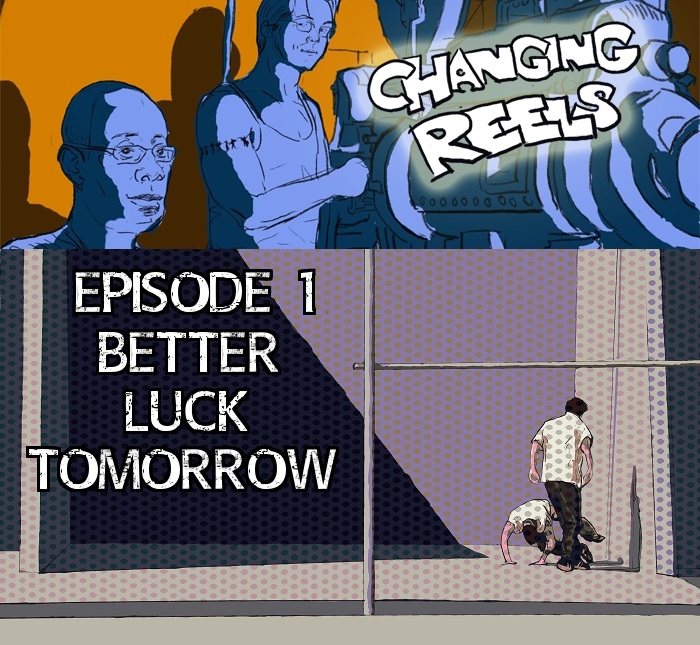 In episode one of the show, we spend time discussing Justin Lin’s sophomore feature Better Luck Tomorrow. We also touch on our individual short film picks of the week Real Talk and Evidence. As collaboration is an integral part of every facet of life, especially when it comes to blogging or podcasting, I want to give a huge thanks to Modern Superior for hosting the show. Be sure to check out the other great podcasts featured on the Modern Superior network. I would also like to shout out Seth Gorden for creating the show’s artwork. Awesome news! I can’t wait to check out the new podcast. The show is on iTunes as well now, so you can give it a listen at your leisure.